Australian police departments used to be almost exclusively made up of Holden Commodores and Ford Falcons, but since local production of those two models ended, authorities have been searching for suitable replacements. 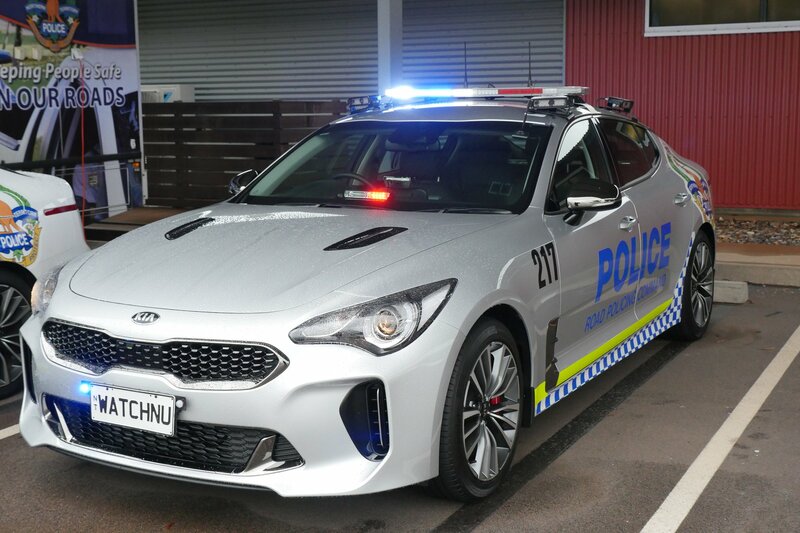 So, Australia’s Northern Territory force have just welcomed the Kia Stinger into their fleet. 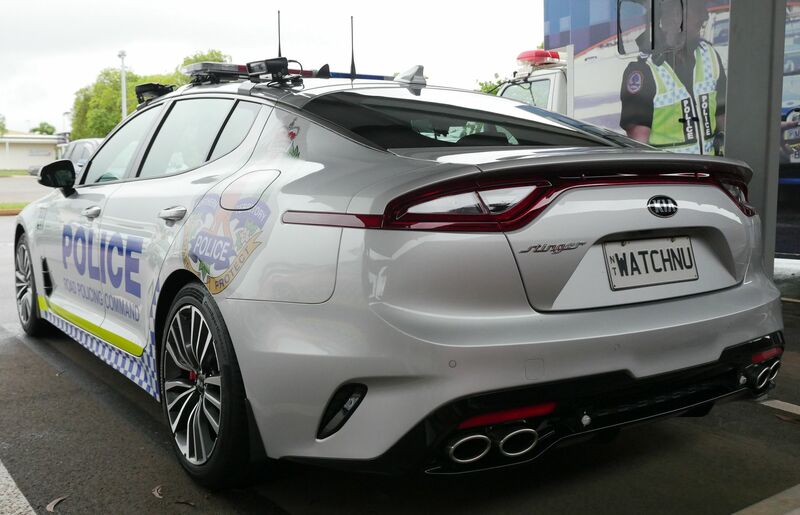 The North Territory joins the states of Queensland and Western Australia to opt for Kia’s high-performance sports sedan to patrol its streets. The Stinger starts at $49,990 locally plus on-road costs and will serve as a replacement to the Commodore SS models previously used by the highway patrol fleet. Powering the Stinger is a twin-turbocharged 3.3-liter V6 engine which delivers 365 hp and 376 lb-ft (510 Nm) of torque. The car comes standard with an eight-speed automatic transmission and can sprint to 62 mph (100 km/h) in 5.1 seconds and hit a top speed of 167 mph (269 km/h). The Northern Territory Police shared an image of its new Stingers on Facebook, one of which had a license plate reading ‘WATCHNU.’ As the Gatton Star reports, some commenters didn’t think it was funny, with one posting “They’re still just ‘watchn’ us and never ‘servn’ or ‘protectn.’” Locals may not like the license plate, but they’ll certainly be looking out for police-marked Stingers as they go into service. Not all Australian states are replacing their pursuit vehicles with Stingers, though. In Victoria, for example, police opted for the BMW 530d, which costs well over twice as much as the Stinger. In New South Wales, police use a mixture of BMW 530ds and Chrysler 300 SRTs. Very cool, I think they have Stinger in Korea as police cars. That says a lot about the platform. lol...unfortunately in the US it is the ford Taurus. Wish they would consider something other than US manufactured brands.